“You Should Have Been Here Last Thursday” is a well know phrase so often used in the response by river keepers and ghillies to an angler arriving at the river who tactfully enquires what the fishing has been like recently. With tongue in cheek Ron Holloway took this humorous yet time worn phrase, sometimes prefaced with “Awful… but” as the title for his fascinating book about his life and times spent working as a river keeper on the River Itchen in Hampshire. His book has received great reviews from not only UK but from America, Canada and Europe and New Zealand and has been particularly well received by anglers who fish the fly and who fish the chalk streams .It is increasingly becoming recognised as one of the most informatative books written about the chalk streams for several years. This book is not a “how to fish” book. 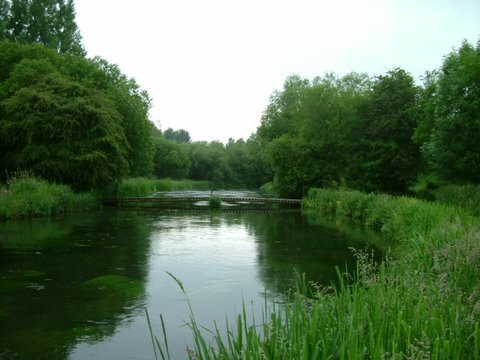 It is a story about a chalk stream river simply told by an experienced river keeper who has spent 30 years of his life working to maintain, enhance and protect the aquatic habitat of the natural self sustaining stocks of wild and native brown trout on a beat of the Upper River Itchen at Martyr Worthy in Hampshire. From the last ice age to the present day an informative picture is painted of the rivers heritage, development and ever changing management, catchment land use practices, mans influence upon the river, and describes geologically what a chalk stream is, how it was formed and how it works. 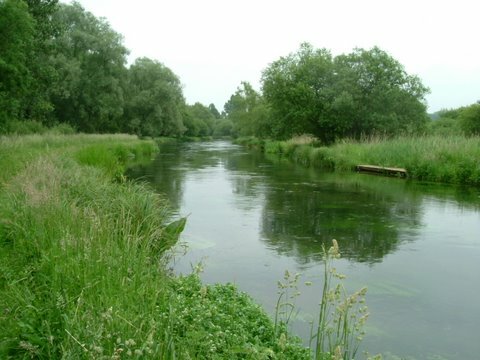 Based on his life long deep love for the River Itchen, and his river keeping experiences, Ron describes the diverse natural flora and fauna, the interesting people he has met and fished with, the work involved both at home and abroad, fishery management problems both practical and political, his philosophies and his hopes and fears for the future welfare of our fragile chalk streams. All this is told in an entertaining, anecdotal, philosophical, humorous yet very knowledgeable way. The book will appeal to all types of anglers, general readers, naturalists and country lovers, fishery managers and budding river keepers all of which will find much of interest. Ron hopes that he may have made a lasting, albeit small contribution to the on going evolution, care, management and protection of the natural flora and fauna of the River Itchen including its precious self sustaining stocks of wild and native brown trout for years to come. Unsigned copies of “You Should Have Been Here Last Thursday” are available in hard back with 16 colour plates, black and white photographs &drawings at £25 from all good book sellers and some of the major fishing tackle outlets and shops including Hardy’s, Sport Fish and Orvis. Please quote ISBN: 9780954629991 when ordering through a book seller. Ron Holloway was one of the five founding directors of the old Wild Trout Society and was active in the founding of the current very successful Wild Trout Trust. Now retired from fishery management and his fishery management consultancy business and now living in Scotland, he is still an active long serving member on the management Committee of the Association of Advanced Professional Game Angling Instructors (AAPGAI) and is the current Chairman of the AAPGAI Standards & Practices committee. He holds the AAPGAI “Advanced “ Trout and Fly Tying qualifications.